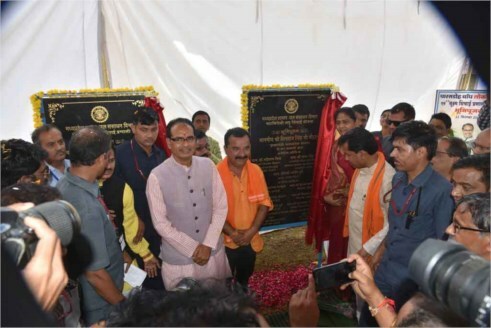 Chief Minister Shivraj Singh Chouhan, on September 11 dedicated Parasdoh dam constructed at a cost of Rs 72 crore 37 lakhs, at Multai in Betul and performed Bhoomi-pujan of Parasdoh Micro Irrigation System Project to be constructed at cost of Rs 206 crore 49 lakh and Ghatbirouli Project at a cost of Rs 6 crore 42 lakh. 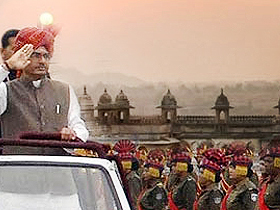 Addressing the programme, Chief Minister Chouhan said that Multai has a distinct place in the state. He announced the opening of a Government ITI for the development of technical skills of students and mentioned that science subject will also be introduced. He said that the farmers will not have to face any hardship in the sale of soybean and they will also get a fair price for it. 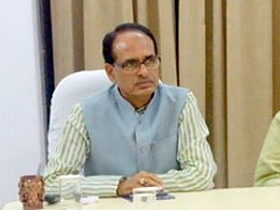 He said that the farmers owning 5-acres of land will also be included in the Sambal Yojana henceforth. Farmers will not have to worry about water in the future as dams will be constructed wherever necessary. Rabi irrigation will be carried out in about 9990 hectares agricultural land of Multai, Prabhatpattan, Athner and Betul development block in Multai. With an increase/improvement in groundwater level resulting from the project, there will also be an improvement in the environment. The Chief Minister announced to introduce an MA course in the University besides construction of ITI building at Bheempur during the public meeting organized at Bhainsdehi.